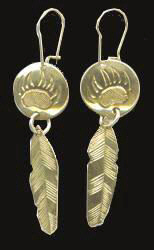 From silver or gold and made by Bearclaw Native Indian Jewelry. 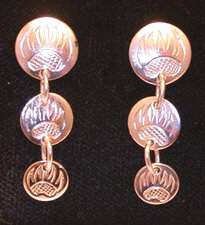 Engraved by hand ,Unique silver studs or hooks in teardrop, disc, hoop shapes. 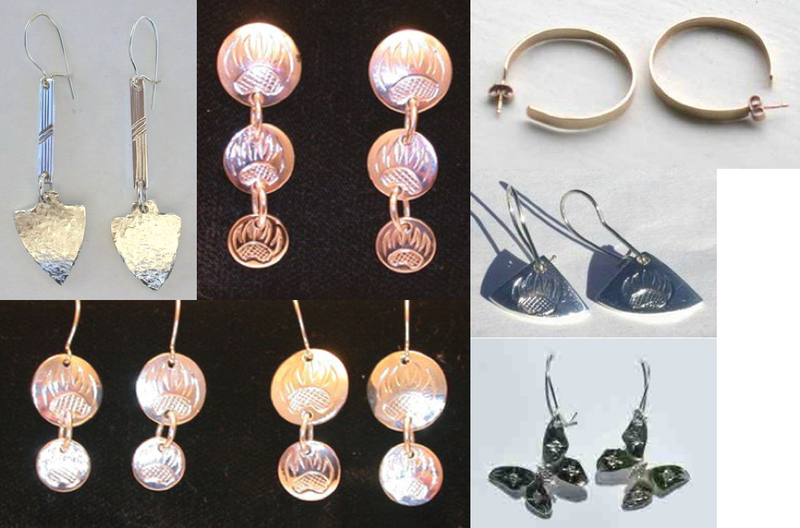 Custom designed with gem stones such as diamonds. Your call. Native American symbols are geometric portrayals of celestial bodies, natural phenomena, everyday objects and animal designs. 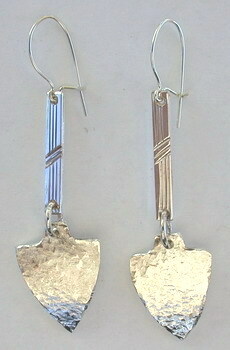 The meaning of the Arrowhead symbol was to signify alertness. An Arrowhead is a sharpened tip which is added to an arrow. ERn32– 8mm turquoise cabs on disc and feathers , then 3mm, 5mm and 7mm. 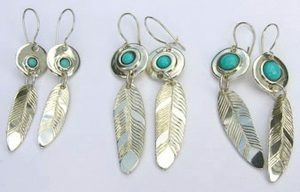 There are many Turquoise Spiritual properties that the Native Americans believe in. It is one of the most important holy stones in their belief system for protection of the body and soul. … The Heavens- Others believed it hat the ability to connect the Earth and the Sky, symbols of the spirit and the body. 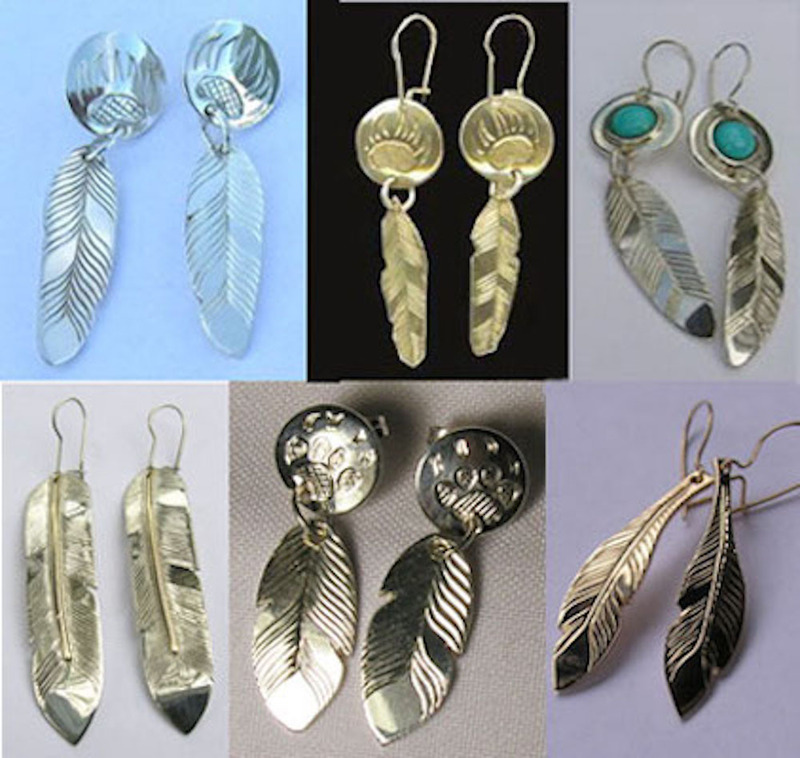 Feathers mean a lot to Native American Tribes. A feather isn’t just something that falls out of a bird, it means much more. 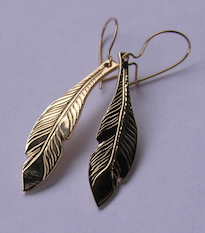 The feather symbolizes trust, honor, strength, wisdom, power, freedom and many more things. 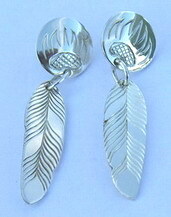 … Many Indians believe that if they are given this feather, it is a symbol from above.